Why a Home Inspection is Necessary. 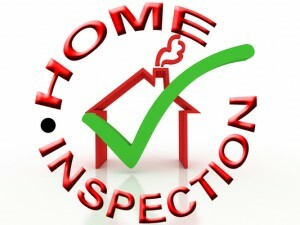 The Arizona home inspection process is a huge part of buying a home. Why should you do the inspection? What is involved? The purchase contract in Arizona offers ten days (if not otherwise agreed upon in the contract) to do all home inspections. Those ten days are the most important process of the buying process so it is important to hire a professional licensed home inspector to work with you. Most Realtors work with one or two home inspectors that they can recommend for you to interview. 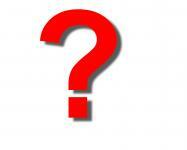 We have preferred vendors listed on our website that you can research and vet. There are many good reasons to do home inspections but here are five for starters. Your home, whether it is your primary residence or a vacation home, is normally the single largest investment that most people have. Buying a home is often an emotional and stressful time so trust a professional to look for things that you may not even think to look for. It’s a small price to pay to gain some valuable knowledge about your investment. Termites…yes we have them in Arizona. You will want to tell your home inspector that you also want a termite inspection. 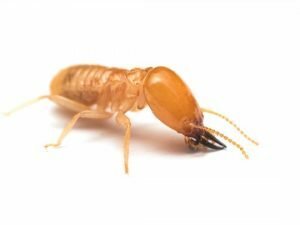 Don’t let the presence of termites alarm you as they are quite prevalent in Arizona. The termite inspector will be able to tell you how extensive they are and report any damage they may see. You can also check the Office of Pest Management website to see if treatment has been done previously on the home you are buying. Mold is also present in the arid desert climate. Has the home ever been flooded? Perhaps a pipe leak in the kitchen or bathroom? If the home has been flooded ask if any mold remediation was done and whether a certificate exists verifying the home is free of mold. Your home inspector will look for signs of mold. Roof damage is a concern for many people. Although many roofs are tile there is often broken, cracked or missing tiles on the roof. Patio roofs are often flat and if not properly sealed and maintained can cause dry rot and leaks. An inspector will do a thorough investigation. Drainage can be a concern and potential for problems down the road. Although Arizona does not typically have much rain, during monsoon or heavy rain times flooding can occur. Your inspector should note any faulty grades or potential drainage issues. Ask questions! The ten day inspection period is your time to conduct all the due diligence you desire. Once those ten days are up so is your inspection time. If the home has a pool, get a pool inspection. The last thing you want is to discover leaks in pool equipment or cracks in the plaster. If the inspector notices any issues with the HVAC system they may recommend further evaluation by an HVAC professional. When buying a home in Arizona, take time during these ten days to inspect the home thoroughly so that with your Realtor you can be comfortable with any repairs you may want to request. The home inspection is also a handy guide for future maintenance items that may not need to be addressed immediately. For more information on the home buying process contact us here or call 480-440-0849.